Last week was the first installment in our Thoughtful Thursdays webinar series! Becky Griffin, Community and School Garden Coordinator for the state of Georgia, joined us online. Becky describes her work as a tool for Extension agents and Georgia Master Gardener Extension Volunteers. She provides school garden training and assists Extension agents in training school teachers. In addition to providing trainings and many resources focused on specialized gardens like school and community gardens, Becky also provides instruction on topics like grant writing and insect combat. However, she enjoys educating others on the necessity of insects in ecosystems, including gardens. In addition to horticulture, she has a background in beneficial entomology and is a certified beekeeper, with a couple of honeybee hives at her home. While she enjoys beekeeping, Becky stresses the importance of approximately 4,000 species of native bees and their essential role in pollination and maintaining beautiful plants. 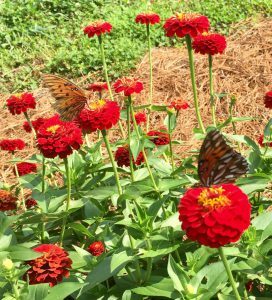 Join Becky in her work to help pollinators by becoming part of UGA Extension’s Pollinator Spaces Project! Several GA MGEVs are already familiar with the Pollinator Spaces Project and the certificate available. Check out the list of gardens here. To learn more about the project and how to become part of the Georgia pollinator habitat, go here! For resources on school and community gardens, go here. To kick-off Georgia Ag Week, Hands-On School Garden Day will recognize the importance of school gardens. Plan a special workday in your garden or use the day to remind your administrators and community members about the importance of your school garden. What makes your school garden special? We would love to see photos! 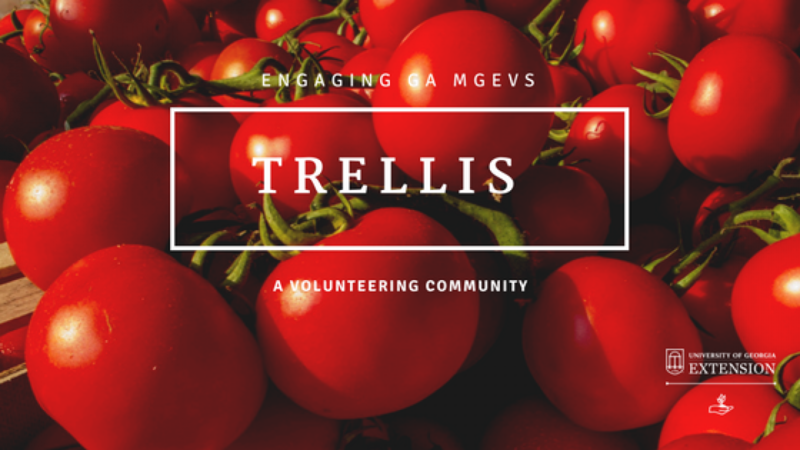 Post them on the UGA Community and School Garden Facebook Page! This year’s Healthy Soil Festival will have some special activities for teachers and those who work in school gardens. Stay tuned for more details! This year’s conference is in Atlanta! More details will be coming but definitely put those dates on your calendar. This is a wonderful Continuing Education opportunity! In August of 2019 gardeners across the state will be counting pollinators as part of a year long campaign to promote best management practices in getting and keeping pollinators in your garden! You will want to be a part of this! Again, stay tuned for more information as we get closer to 2019. Attending or listening to a recorded Thoughtful Thursday session counts as Continuing Education credit! To record this time in MGLOG, log into your account and click on the green Report Continuing Education heading under the brown Continuing Education heading. Then, complete the short form and click Insert Record.